We love being creative with classic cocktails. This time we decided to deconstruct the Blue Mojito and construct it again in our own way. This was the birth of the Senior's Blue Mojito. 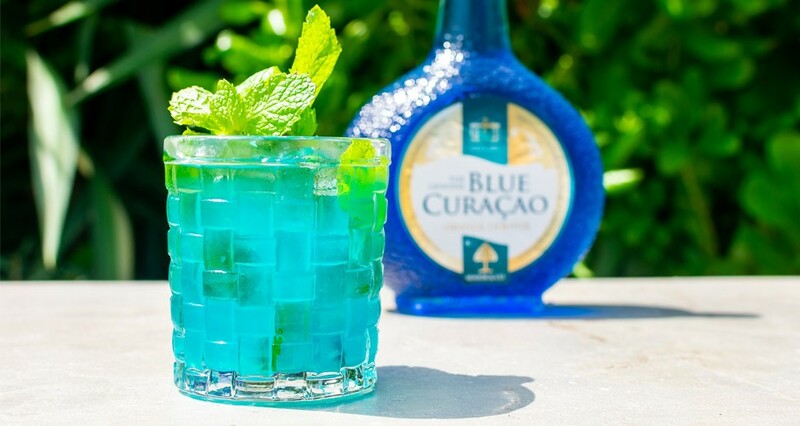 A sweet as summer cocktail that has the refreshing taste because of the limes, an aromatic flavor due to the mint, and the balanced sweetness of our Senior's Blue Curaçao. How did we achieve this? Simple, we removed the rum from the classic recipe and increased the volume and taste of the remaining ingredients. Add all the ingredients, except the soda water, in a shaker. Fill the shaker with ice and shake well. Fill your glass with ice cubes, add the mint leaves, and carefully strain the cocktail into the glass. Top it off with soda water.